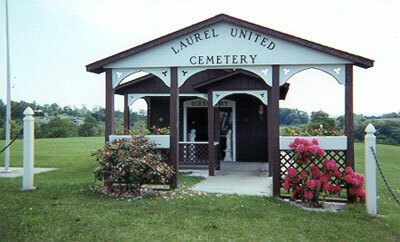 Laurel United Cemetery was known as the County Cemetery up until 1992. It is up over the hill from Laurel Crest Manor, which at one time, many, many years ago was the "Poor House". Laurel Crest Manor was also named the County Home at one point. There are only a handful of headstones located at this cemetery. Years ago, the county did not keep plots numbered, so it may be impossible to locate a certain grave.